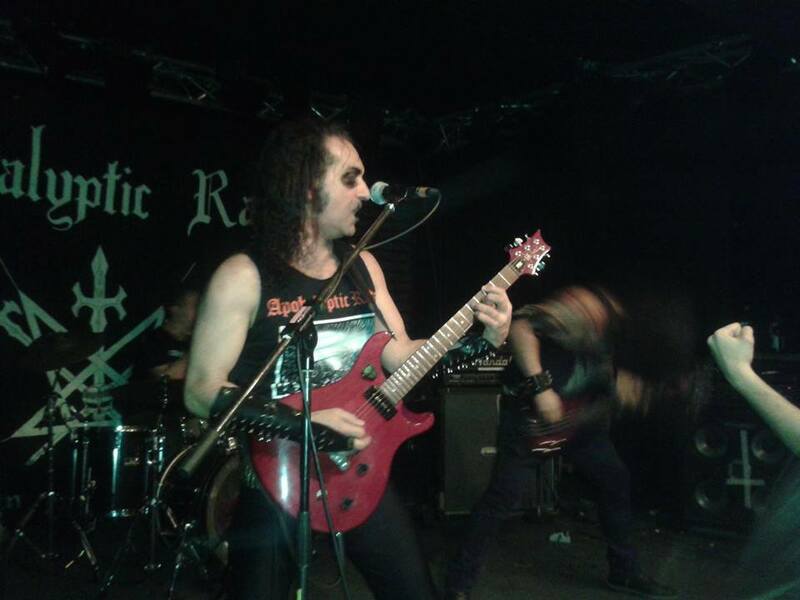 No one seems to do Hellhammer worship better than the veteran Brazilian scene in Rio de Janeiro. Actually, when it comes to any type of proto black metal worship, be it Venom worship, Motö-rocking or, in this case, adherence to the Tom G. Warrior school, there aren’t many bands outside of that scene that bring such an authentic and nostalgic take on the style. At the forefront of the sweltering scene in the wild lands is Apokalyptic Raids, a group formed by Necromaniac (Leon Manssur) back in 1998. While it’s been quite sometime since the band’s last full length album was released, 2010’s Vol. 4 – Phonocopia, they’ve kept busy, dropping a few splits along the way. While fans are still patiently awaiting the next full length album, Hells Headbangers decided to reissue the band’s third full length album on vinyl, the aptly titled The Third Storm, which was initially released in 2005 on Brazil’s Dark Sun Records. While most people would just pass off Apokalyptic Raids as a Hellhammer/Celtic Frost worshiping band, and leave it at that, the band does bring their own take on the classic sound. Necromaniac and crew weave their own sordid web of blackened, deathened, thrashing metal that reverently adheres to the ways of old, rather than blatant copying. The band’s first two albums, Only Death Is Real and The Return of Satanic Rites offered a sound that was surely vested in the aggressive, take no prisoners style of Hellhammer, but The Third Storm saw them branching out, offering slabs of doomy dredging and an increased versatility not found on the earlier work nestled amongst the pummeling assault. 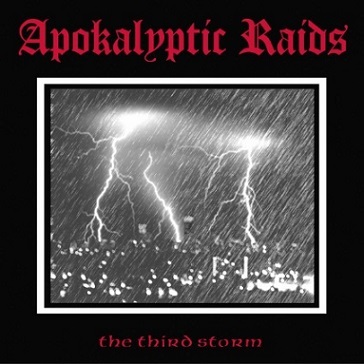 To those unfamiliar with their sound, Apokalyptic Raids offers frenetic double kick percussion, bordering on d-beat at times, coupled with primitive, rumbling guitar riffs and Necromaniac’s gruff and squalid shouts. It’s a simplistic formula, yet the morbid aggression is enthralling. The band’s sound lies in the gray area between black metal, thrash and death metal; basically existing as a rabid amalgamation of all things heavy. The production is much stronger than the band’s early material, allowing the listener to focus on the sweltering rhythms. Throwback metal has certainly been making a comeback these past few years. While a lot of the current focus is on re-thrash and retro traditional heavy metal, those who worship at the throne of the first wave have been, and are, lurking in the underground. The Third Storm shows Apokalyptic Raids as one of the most competent of the bunch, retaining a style all their own while reverently adhering to the ways of old. This entry was posted in Black Metal, Death Metal, Reviews, Thrash Metal and tagged Apokalyptic Raids, black metal, brazil, Celtic Frost, Death Metal, Hellhammer, Hells Headbangers, Motorhead, reissue, Rio de Janeiro, The Third Storm, Thrash Metal, Tom G Warrior, Venom, Wild Lands.